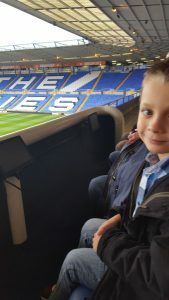 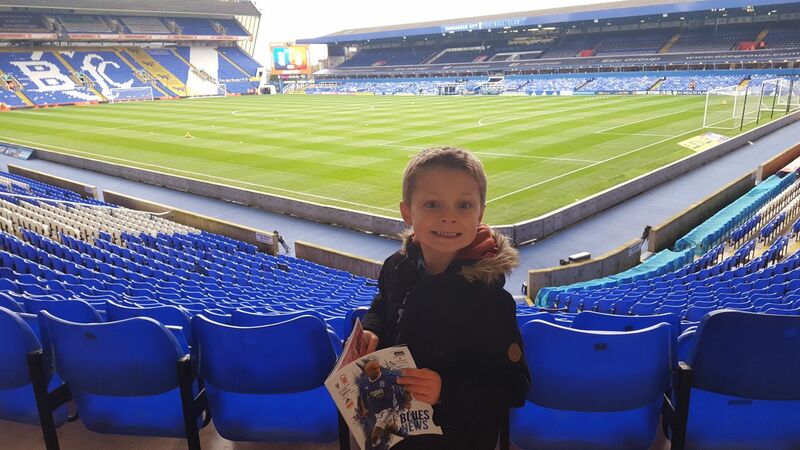 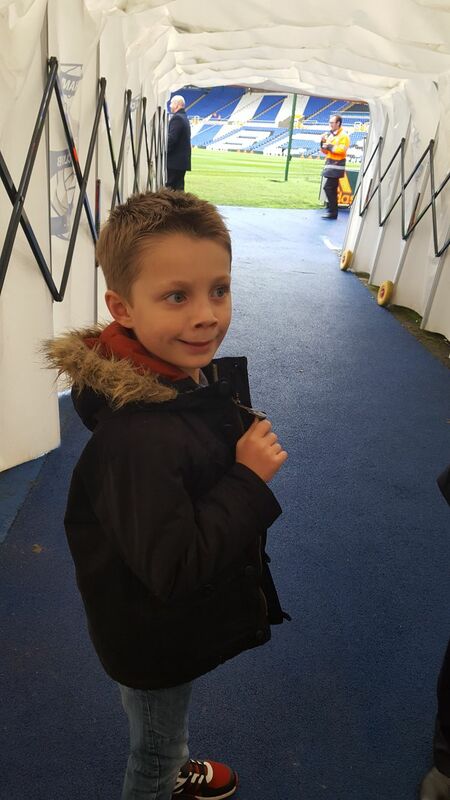 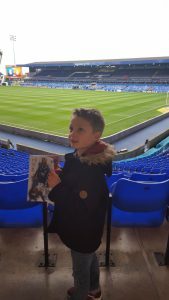 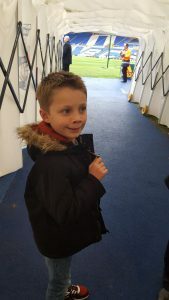 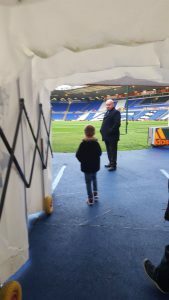 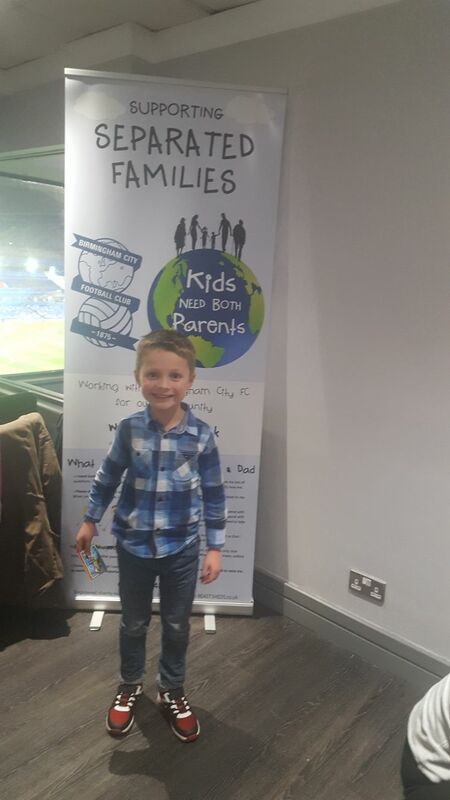 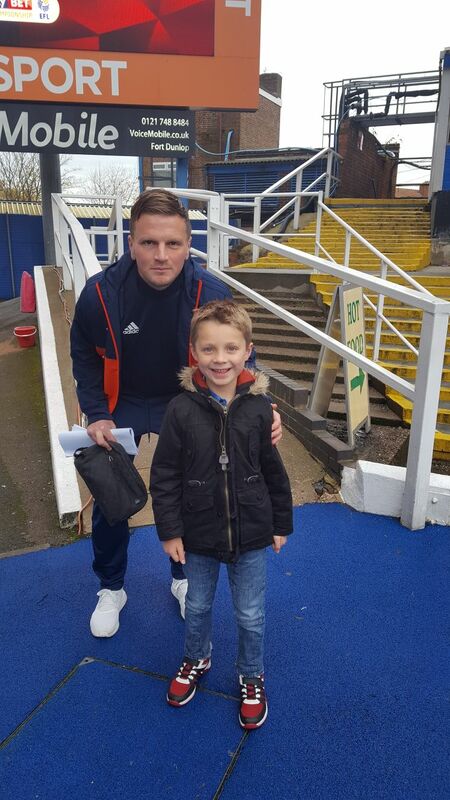 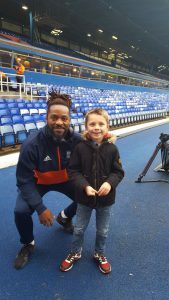 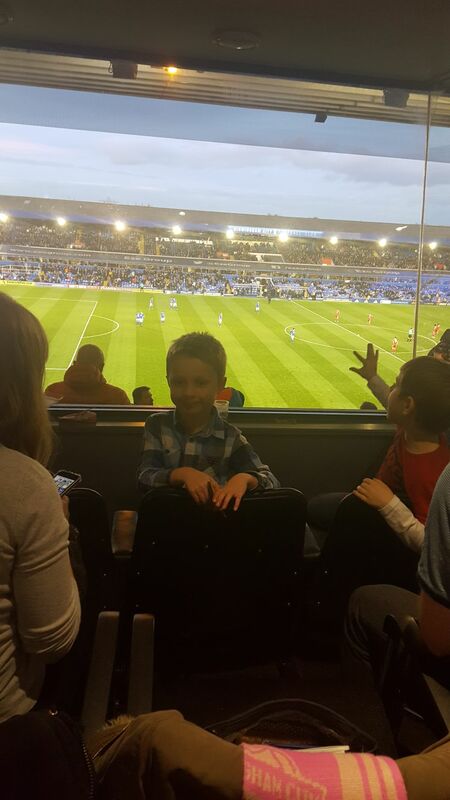 Joshua, Corben and their Mom’s Nicola and Julie were invited to watch the Blues against Nottingham Forest on 18th November 2017. 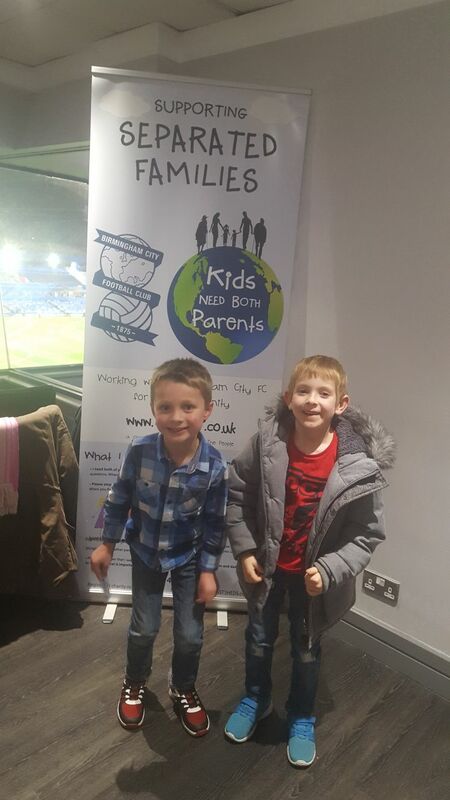 Joshua and Corben are enjoying their first ever match at the Blues! Joshua went on a tour of the ground with Julie. 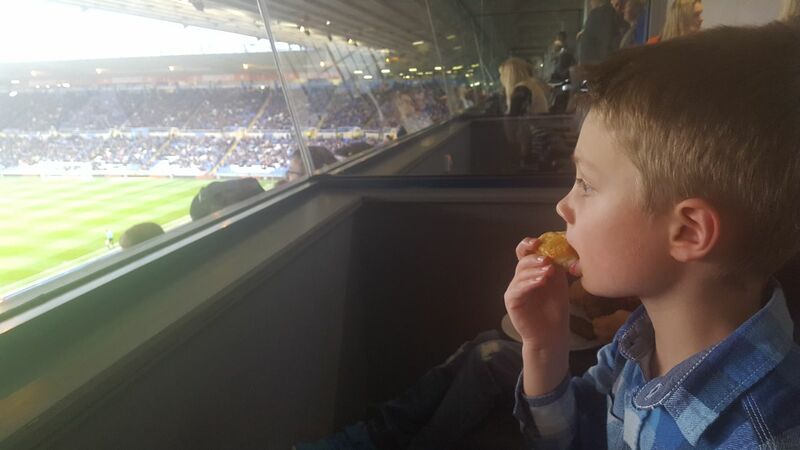 Joshua, Corben, Julie and Nicola enjoyed the hospitality at the Blues. 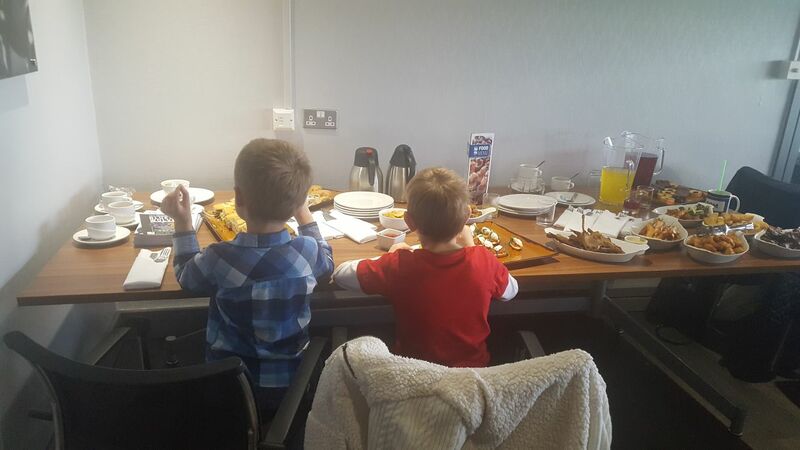 The children tucked into chicken nuggets and they also liked the beef skewers! 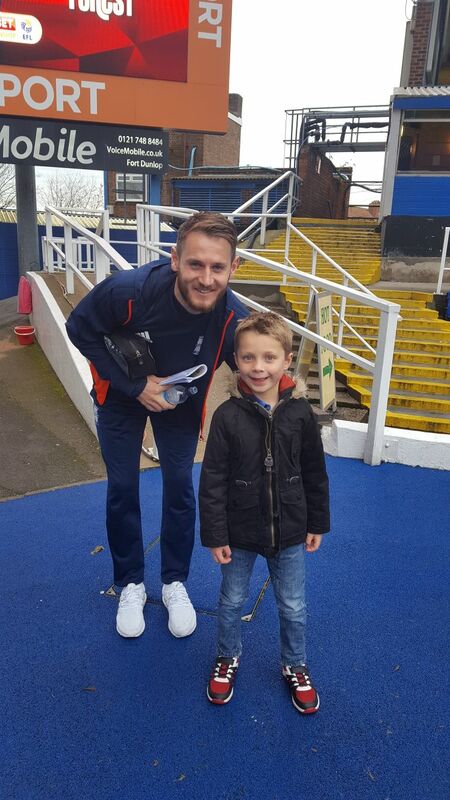 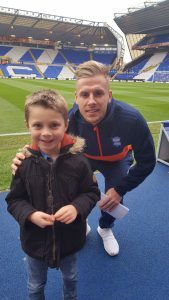 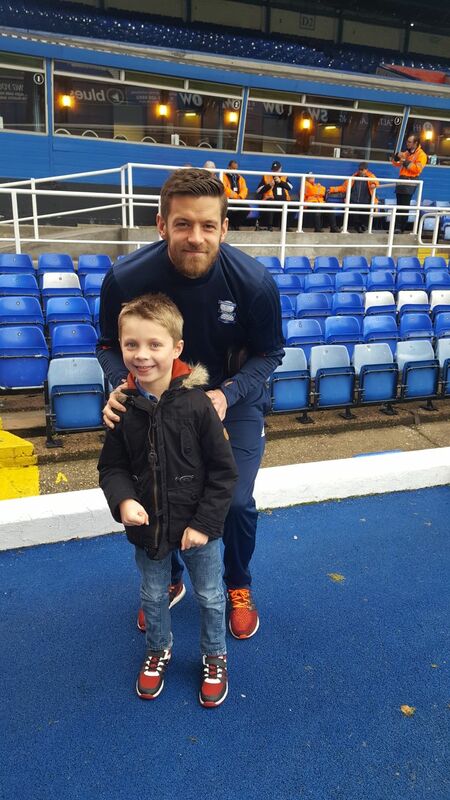 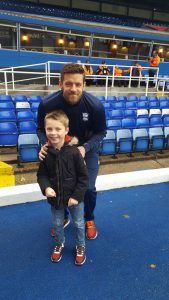 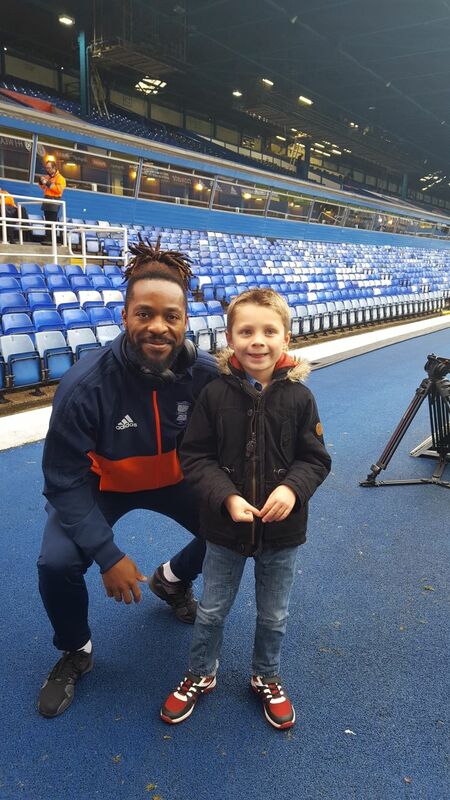 Joshua was so excited to meet some of the players including Marc Roberts, Lukas Jutkiewicz, Jacques Maghoma, Stephen Gleeson and Jonathon Grounds. 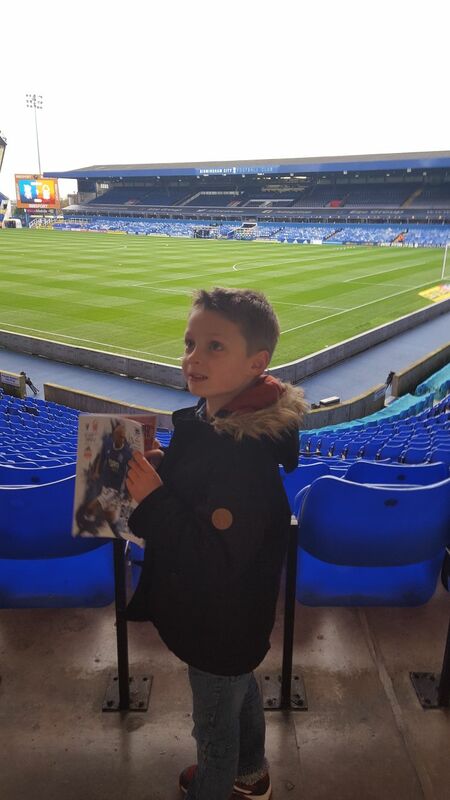 The players also took time out to sign Joshua’s program. The game ended in a 1-0 victory with Che Adams scoring in the 5th minute!